Addictedtoseries.com: Legends of Tomorrow : Synopsis et photos promos de l'épisode 2.05 "Compromised" ! - L'actualité des séries, des films et des jeux vidéo au quotidien. 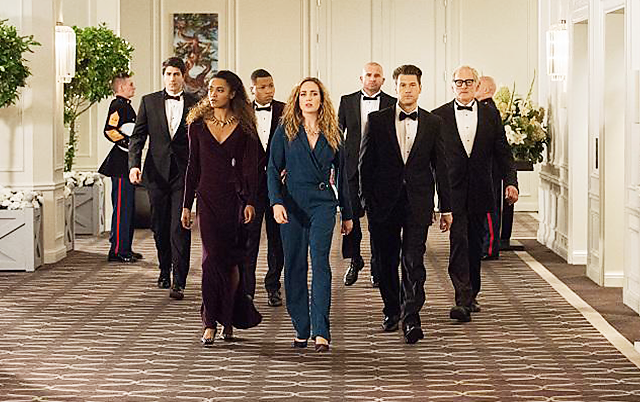 Legends of Tomorrow : Synopsis et photos promos de l'épisode 2.05 "Compromised" ! 2.05 - "Compromised" - When the Legends trace a timequake to President Reagan’s White House, they are shocked to discover their old enemy Damien Darhk (guest star Neal McDonough) is now a Senior Adviser to Reagan. 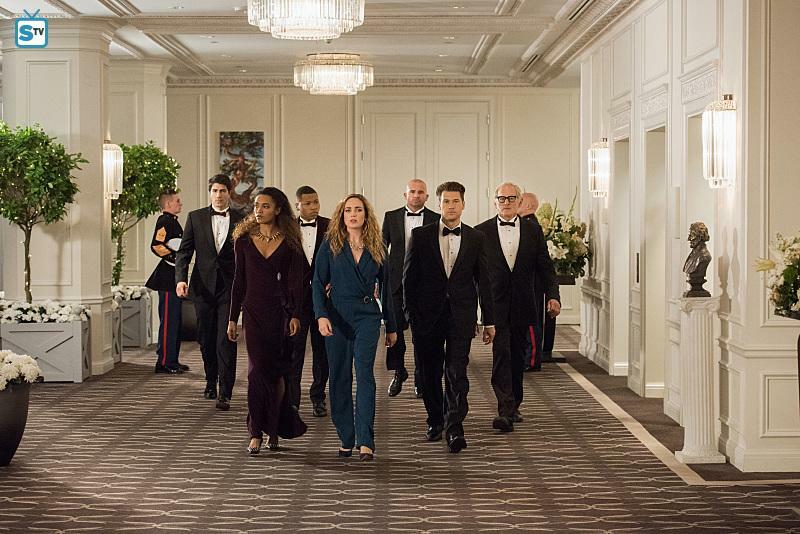 As the team works to uncover what Darhk has up his devious sleeve, Sara (Caity Lotz) struggles with the choice of getting revenge or helping with the team’s larger mission. Thinking that the JSA members could be of help, Amaya (Maisie Richardson-Sellers) and Nate (Nick Zano) break into the JSA and are surprised at what they find. Meanwhile, Stein (Victor Garber) tries to prevent his younger self from creating an even bigger time Abberation. L'épisode sera diffusé le 10 novembre.